Is Congress Bringing in the Jaziya (Tax) through the Back Door? “The Jaziya is a time tested form of governance that has not failed in the past. It can very well work for the present times if it has worked in the past.” An ideologue, serving a life term in a prison told me while I was doing a workshop with the inmates. He was a teacher of mathematics and also believed that it would solve all problems of mankind. “But can you impose it in the present times, in this age?” I had asked, incredulous. “It has to be brought about in a different manner with the underlying principle remaining the same and it is happening,” he had observed. Is the Congress party trying to do the same, that is bring in Jaziya for Hindus through the backdoor with the support of like minded people? The recent sequence makes us examine it critically in the light of the Telengana manifesto. The Jaziya has been a system of taxation in existence in our country for centuries where Hindus had to pay taxes to their Muslim rulers. Muslims were exempt from paying such a tax. It made Hindus as second class citizens in their own country, no better than slaves. It introduced a deep inferiority in them and they viewed the Muslims as superior to them. Not paying the Jaziya brought shame, public humiliation and amputation. The Jaziya was extremely successful. It filled in the coffers of the rulers and kept an entire community in a perpetual system of subjugation and terror for centuries. There is no record of any rebellion in India’s history against its imposition. How did the Hindus internalize it and follow it for so long without any protest? It defies explanation. The British must have felt amazed at it and realized a godsend chance to rule the people thinking that the gene of slavery may have gone too deep in Hindus and they had to perpetuate it by other means. 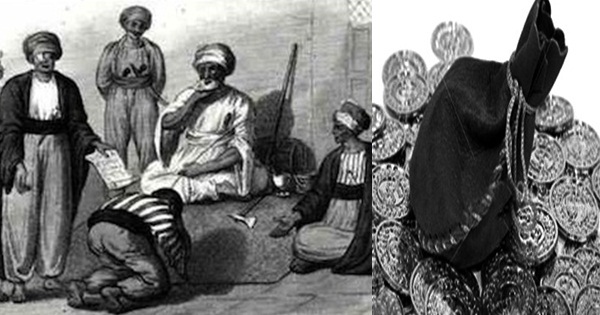 The Jaziya was not just a form of taxation that was levied on Hindus. Psychologically it was a form of control based on a philosophy that was deep rooted and break the very will of the people wherever it ruled. One also wonders why there is little writing or condemnation of it by scholars of those times? Why is there is so little guilt in the descendants of those who carried it? What did Jaziya do to the soul of a people in the lands during the times it was imposed? Was it able to become a second nature to the people? Did it become the collective unconscious of the societies as Carl Jung wrote in his work on historical forces becoming our unconscious that we replay again and again. The Jaziya cannot be brought as a law in modern times. It may raise painful memories and provoke a secular people against all cannons of natural justice. But when it has held an unquestioned sway over the lives of millions, it also may have an appeal that has not diminished. According to social psychologists, traumatized societies repeatedly fail to observe and identify cues that in the past enslaved them or massacred the people. Those with a perpetrator mindset know that and play upon that weakness. The repeated blunders done by the Hindus may be said to be a painful indicator of that legacy. Jaziya once was a separate tax that was levied on Hindus. In modern times the tax paid by a Hindus is being diverted and the money collected from their temples is being used for the benefits of Muslims, but is not reciprocal, what kind of argument is being followed here? The central principle of Jaziya has been establishing the separateness of the Muslims from the non-Muslims and for the latter to pay money for the former’s wellbeing based on religion. It establishes the latter as less deserving of common resources and definitely not as an equal to him. The recent manifesto released by the Congress in Telengana lays out separate benefits for minorities (read Muslims) if they are voted to power. Separate hospitals for them, preference in contracts and jobs, free electricity and grants exclusively for them. Where will the money come from but from the taxes paid by the majority (read Hindus). This separateness based on religion chooses religion as the deciding factor in the allocation of resources. It is not based on the needs of the people, the aspirations of poorest of the poor who belong to all communities equally. It may be a poor Hindu boy who has faced poverty and discrimination as much as anyone else trying to make his mark in life but it is now his religion that forbids him from availing the resources and becomes the deciding factor in giving him his due place. For centuries, the Hindu didn’t get key posts in Mughal courts or in British administration. Today when he is again going to pay taxes and support those belonging to other religions, isn’t the same philosophy being made legitimate once again through the back door? Should we have hospitals built in our country based on the notion of one’s religion? If such hospitals are established, will the doctor see the religion of the patient first before treating? If two patients come simultaneously and need emergency care, will the doctor be penalized if he chooses to attend the one belonging to the wrong religion? Since our ex-Prime Minster has said resources belong to minorities first, it will surely make the minority community demand that they are given the resources first based on their religion. The process of replacing the Hindu from his established space where he is rooted has begun. Sometime ago the President of Congress described Hindu terrorism as the most dangerous one in India. I have asked several psychologists the interpretation. All of them were equivocal in saying that such a statement was to create shame and guilt in the people. Shame and guilt, I may add, are the two most powerful motivators that the CIA, the KGB routinely use to keep the entire populations bound in chains. In social psychology, every nation is said to play a script. The script evolves through the history of its people, their conquests or sufferings. It defines who they are as people and where they are headed. Many Americans say that the script of America is to leave your past, to begin a new future called the American dream. I had once asked a Black writer about it. She had called it ‘dream of the white American’ only and the one for Black to escape slavery. Every nation’s script can be understood from why it’s people keep on repeating certain things again and again in their history. What can be called India’s script? I believe once upon a time it was “vasudeva kutumbakam”, an inclusion of one and all. The invasions, the betrayals by those whom we trusted has added to the script of India a second sense of searching for our roots. Dr. Karpman, a social psychologist links those who play victimhood with those who claim to be their rescuers and those whom the victims see as their perpetrators and connected together. He warned against fraudulent victims in human history who claimed victimhood based on false persecution, justifying that with genocide and conversion. India’s partition was based on the theory of such a false victimhood of a people that led to the slaughter of millions, the wounds of which are yet to heal. Today Muslims are being portrayed again as victims by Congress who are trying to project themselves as their rescuers. In the process they are creating a separate identity for them where Hindus are being made into their perpetrators. This is false and dangerous. Hindus have never been aware of how to uproot the tag of perpetrators. The tag has changed names many times in history and the one now in vogue is ‘uprooting Brahminical tyranny’. The copyright is being passed on. Provoking a group to claim victimhood when they are not, saying they should have separate privileges when they have ruled our country is a dangerous portent. Everyone in free India is at par with others and needs to play on a level playing field as a basis for democracy. Next election in 2019 may well be called the script election of India, one that will change our destiny for a long time to come. This is the election where we may decide we will either break from the past and choose the path less travelled or choose to live under the familiar space we have used as slaves to others. I pray we choose the former. The Hindus may still be fighting the ghost of the Jaziya that gagged their ancestors. It kept them silent and the trauma of it may still be linger on as a memory. Will our future generations and our history judge us as to why we didn’t question and confront those who tried to falsely make us into perpetrators? Will our future generations accept our silence? Even if no one does so, our conscience may force us to unleash an inner demon that may not leave our people in peace for a long time to come. Featured image courtesy: Middle east Forum and cpnagasaki.wordpress.com. Youth Congress Leader Caught Selling Antique Jain Idols; Temple Thefts Funding Elections? Forbidden Vault: Mystery behind the Secret Door of Sree Padmanabhaswamy Temple Where Is ‘Extremism’ in India and Where in Pakistan? Why Sikhs are against Khalistan Agenda? Why Indira Gandhi was Killed? 10 Greatest Lies in the History of India Why Is Dr Zakir Naik Labeled as Anti Hindu?